I have to say right off the bat that Douglas Thompson's Apoidea is my kind of book. This is a "thinking man's" thriller along the lines of a Michael Crichton novel. Yes, Apoidea is good enough to be compared to Crichton. That is because Thompson's book contains plausible science to back up the fiction, giving it a realistic, "it could happen" feel. It is a fact that over the world, honeybee hives are being affected by colony collapse disorder—a phenomenon that surfaced in U.S. honeybee colonies in 2006—where worker bees vanish en masse. Some studies have suggested that an acute paralysis virus (IAPV), first identified in 2002, may be contributing to the bees' demise. It is also a fact that Albert Einstein said, "If the bee disappeared off the surface of the globe, then man would only have four years of life left," as quoted by Thompson at the beginning of Chapter One. Douglas Thompson has brilliantly taken facts and spun them into a fast-paced work of fiction involving the FBI, politics, intrigue, high tech, and a chase across the American border into a Mexican cave. There is humor in the book, such as Steve Dobs of Lemon (a sour version of Apple) and Bill Yates of Winterra (a cold version of Windows). The funniest is President Palin, but that one is perhaps not so humorous when you remember that the USA elected George W. Bush....twice. But the main attraction to Apoidea is the excitement Thompson's talent generates. 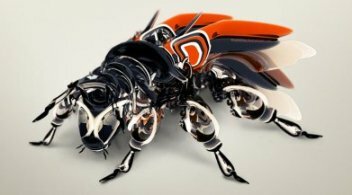 Gert Villers is an American scientist who is well-paid for his invention of robotic bees. His intentions are noble; he really does want to literally save the world with the artificial pollinators. He programs into the drones the hive mentality, and tries to create a version as close to the real thing as possible. Except perhaps his version is a bit smarter than the average bee. In comes the government. Imagine if the United States has the power of being the only ones who possess these artificial bees. Imagine if America is able to give the crop-saving pollinators to her allies and deny them to her enemies. So naturally "President Palin" is not open to the idea that Gert Villers wants his invention to be free to everybody. So she sends the CIA and the FBI after him. But he escapes. And the bees follow him. That's when the chase to Mexico begins. Apoidea is a very satisfying techno-thriller with believable characters and an even more believable plot. It twists and turns into one surprise after another, relentless in its grip it has on the reader. On top of all that, there are ethical questions and soul searching that touches the heart. The pace and timing of the plotlines are nearly perfect. I rarely rave about a book like I am doing with this one. But as I said, Apoidea is my kind of book. 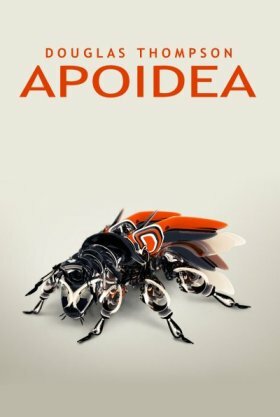 If you like Michael Crichton novels, I'll bet Apoidea is your kind of book too. You can buy Apoidea HERE. 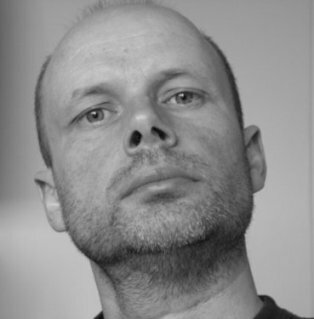 Douglas Thompson's short stories have appeared in a wide range of magazines, most recently New Writing Scotland, Ambit, PS Publishing's "Catastrophia" anthology and Albedo One. His first book, "Ultrameta", was published by Eibonvale Press in August 2009, and hailed as "a new form or literature for a new century" and "a modern classic" by Sci-Fi Online. His second novel "Sylvow" was published in August 2010, also from Eibonvale. Jeani Rector is the founder and editor of The Horror Zine and has had her stories featured in magazines such as Aphelion, Midnight Street, Strange Weird and Wonderful, Dark River, Macabre Cadaver, Ax Wound, Horrormasters, Morbid Outlook, Horror in Words, Black Petals, 63Channels, Death Head Grin, Hackwriters, Bewildering Stories, Ultraverse, Story Mania, All Destiny, and many others. 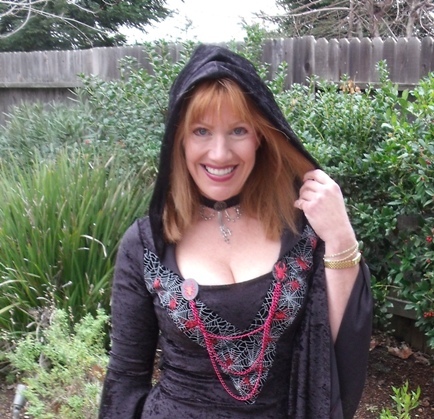 Her book Pestilence: A Medieval Tale of Plague was released by The Horror Zine Books in 2012.